Focusing on Juan Downeys 1969 sculpture With Energy Beyond These Walls, Felicity Scott’s lecture will revisit the Chilean-born artist’s electronic and cybernetic works of the late 1960s and early 1970s, reading their structurally ambivalent semantic and operational logics, and their modes of switching, as harboring a political vocation, one becoming more evident, and more urgent in the wake of the military coup of September 11, 1973. Departing from readings celebrating these works as paradigms of interactivity or as inviting participation, Scott argues that they are better read as allegories of a far-reaching media-technical and political apparatus then being forged in the United States, as modeling environmental systems as they operated as techniques of power, both upon the bodies and psyches of subjects as well as in a wider geopolitical domain. 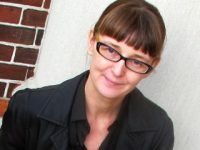 Felicity D. Scott is Professor of Architecture at Columbia University’s Graduate School of Architecture, Planning and Preservation, where she directs the PhD program in Architecture (History and Theory), and co-directs the program in Critical, Curatorial and Conceptual Practices in Architecture (CCCP). Her books include: Architecture or Techno-Utopia: Politics After Modernism (MIT Press, 2007), Ant Farm (ACTAR, 2008), Disorientation: Bernard Rudofsky in the Empire of Signs (Sternberg Press, 2016), and Outlaw Territories: Environments of Insecurity/Architectures of Counterinsurgency (Zone Books, 2016).